I wanted to re-create a Victoria Sponge type cake and when I saw this recipe it seemed like just the thing. 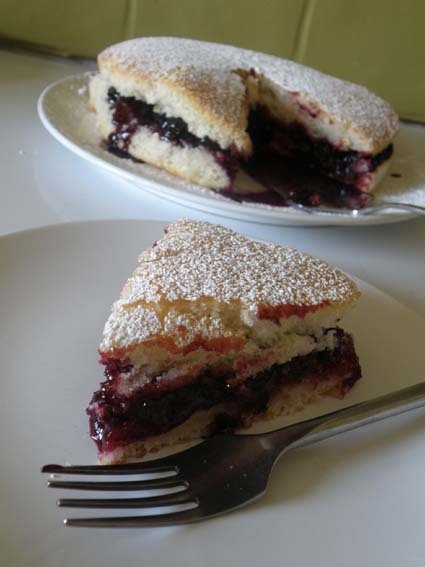 I changed the lime for lemon and sandwiched it with home-made cherry brandy jam. Very tasty with a nice cup of tea. Juice enough limes to make 1/3 cup of juice – about 2 limes. Remove from the oven and let cool completely before adding your filling of choice.